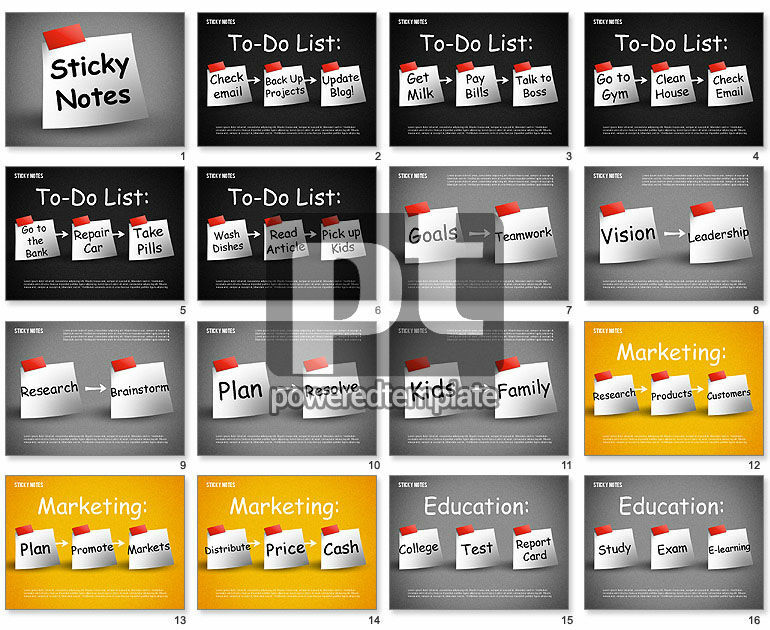 These presentation slides 42207 are complete compatible with Google Slides. Simple download PPTX and open the template in Google Slides. This glamorous sticker template in a hand written style will suit perfectly for your presentation dedicated to your to do lists, expressing goals, bright ideas, development, business plans, teamwork, creative vision, brainstorming and so forth. These bright stickers are situated on three kinds of the backgrounds. If you’re going to make a presentation concerning time, this theme is what you need.